We are one of the most respected commercial roofing contractors in the Lincolnshire and Humberside areas. Our professionalism and commitment to all varieties of commercial roofing projects has enabled Wilkins Roofing Contractors to grow into the company it is today through reputation and recommendation. We have specialised in many types of roof coverings since the company began trading in the 1970’s and in this time we have worked on many specialist roofing projects that have truly pushed our skills beyond those of a typical roofing company. 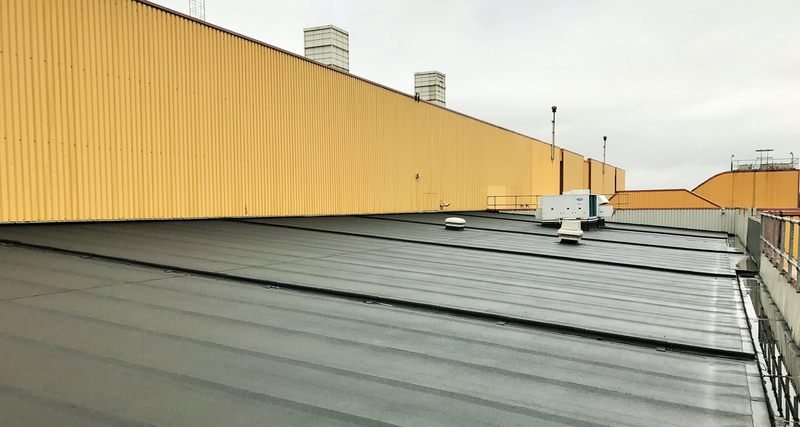 We offer a wide range of roofing services for commercial projects but most of all we pride ourselves as specialists in flat roofing to specification. 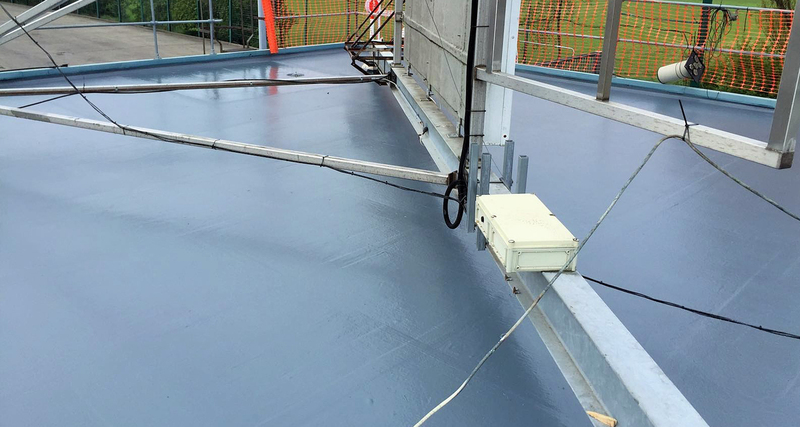 The roof coverings we offer include SBS polyester torch applied felts, liquid applied waterproofing, singleply membranes and Glass Reinforced Plastic (GRP) all of which outperform traditional roof coverings in every area. We hold IPAF licences (Mobile Elevated Work Platforms) We are PASMA trained in the erection of mobile scaffolding. As a commercial roofing company we are proud to offer some of the most well respected Singleply Flat Roof systems available. The singleply systems we install are; Armourplan, Danosa and Sarnafil PVC. These are high quality, incredibly versatile and ideal for almost any kind of roofing project. It is dimensionally stable, UV resistant, fire retardant, vapour permeable and environmentally friendly. PVC membrane is ideal for new build and refurbishment of existing roofs and particularly for larger areas. Felt has dramatically improved in recent years to the point that ‘felt’ is not an accurate description. It is now a membrane of tough polyester reinforcement coated with a modified bitumen coating. It has mechanical strength and dimensional stability. In most cases it is an economical alternative to GRP and Singleply. 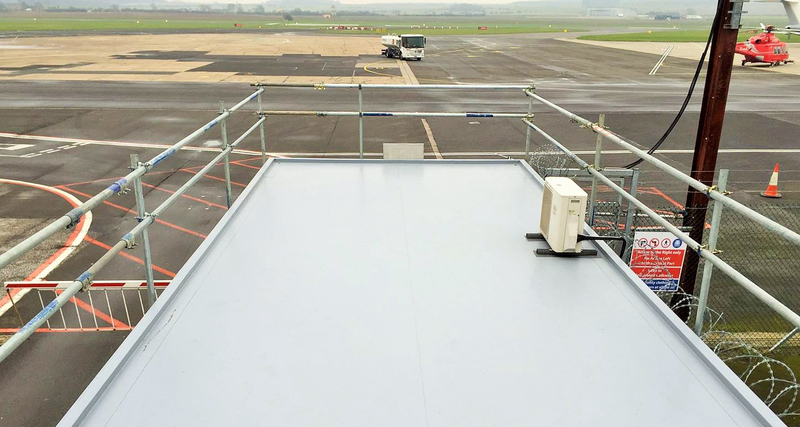 GRP or fibreglass roofing has become very common in the commercial market, as businesses strive to achieve a simple, cost-effective solution to their existing flat roof problems. GRP has a variety of invaluable uses within the commercial and industrial sector. It is not uncommon for a GRP roof, without any form of maintenance to last well in excess of 25 years. Wilkins Roofing Contractors offer a wide range of commercial roofing services and we are specialists in a variety of complex roofing techniques. If you have any questions or have a project in mind simply get in touch to discuss your commercial roofing requirements. Get in contact with us today for your free no obligation quotation. Call us on 01472 828878 or our mobile 07778757612 or leave your details here and we'll call you back! We have been serving the Lincolnshire and Humberside region for over 35 years! In our previous house our newly built loft conversion roof was covered by Wilkins and they made a lovely job of it. We are currently renovating Middle Rasen Windmill and Wilkins roofing have covered the traditionally built mill cap with a white fibreglass covering, preserving the shape of the cedar ribbing beautifully. We are delighted to recommend this excellent family business. I am very pleased with my new bay window flat roof. The work was carried out in an efficient and professional manner. I have no hesitation in recommending Wilkins Roofing to my friends and family. A job well done!